Yuma County Adult Detention Center is located in Yuma, Arizona. 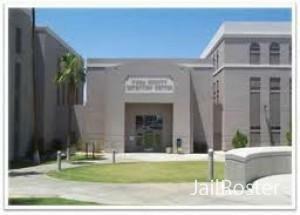 Yuma County Adult Detention Center is a minimum-security jail that holds 756 male inmates. On their website, the Yuma County Adult Detention Center has a public inmate list. These records can be searched by the inmate's last name or by date confined. However, all lists are for people currently serving time in the Yuma County Adult Detention Center. Inmates at the Yuma County Adult Detention Center are allowed to get books, magazines and newspapers in the mail. If you would like to send an inmate any of these items, make sure you have them sent directly from the book store or publisher to the jail. All books will need to be new and paperback. Used and hardcover books are not allowed to be sent to the jail. There is a kiosk in the Yuma County Adult Detention Center ?lobby that you can use to deposit funds into their account. The kiosk in the lobby only accepts cash, at this current time. However, there is a service fee of $2.50 per transaction to use this service. The kiosk is available to use 24 hours a day. Paytel Communication contracts with the Yuma County Adult Detention Center for their phone services. Inmates at the Yuma County Adult Detention Center access these phones easily. These phones are payphones. Inmates are allowed to make phone calls, however, they are not allowed to receive calls. All phone calls at the Yuma County Adult Detention Center are monitored and recorded. Three-way calling is prohibited for the inmates to use. Inmates are only allowed to 15-minutes phone calls. The individual receiving the collect call is the one responsible for any fees associated with the collect call. Inmates at Yuma County Adult Detention Center ? do not have a way to get onto the internet, however, they do have access to their Paytel account. There is a messaging system with their Paytel account that the inmates can take advantage of. This way inmates and their friends and family can send messages to each other. The Yuma County Adult Detention Center visitations are Monday through Friday from 7pm to 8pm.